EastWest/Quantum Leap presents the latest addition to their vocal instruments line with VOICES OF SOUL with C.C. White. It includes a collection of expressive, soulful multi-sampled vocal instruments with hundreds of phrases in every key and with highly realistic true, legato transitions. These vocal instruments are intuitively arranged in the Play 6 playback engine so composers can switch between multiple articulations on the fly using Combo instruments. VOICES OF SOUL has immediate access to hundreds of C.C. White's blend of distinctive vocalizations in Funk, Soul, Reggae, Southern Blues, Gospel, R&B, Jazz, and Latin styles. From a completely different universe than the previous released and exotic EW VOICES OF THE EMPIRE, C.C. White's voice--from soft and angelic to powerful and earth shattering is endlessly captivating and endearing when used in your own music. There are Ah, Doo, Ee, Eh, Ha, Hm, Ho, Ho Expressive, Hoo, La, Mm, Oh, Oh Expressive, Oo, So Expressive, Wo, Wo Expressive versions in the Sustain folder. I thought the Legato folder was cleverly programmed since the vocals played back in a connected fashion--you can easily play notes for every interval up and down an octave. As with all of EastWest instruments, the choices are myriad; there is the Combo Mod that combines multiple articulations and uses Mod Wheel and Velocity. The Mod Xfade Chords has most of the Sustain's single syllable vocal instruments but now the mod wheel crossfades between dynamic layers. The Phrases folder contains over 600 phrases and adlibs sung in a soulful style that will sound great when added into your Pop song's choruses. Some of these come with pre-processing setup in the built-in and highly adjustable Effects Section of Play 6. Effects included are: an SSL Channel Strip and Bus Compressor, OhmForce's Ohmicide (distortion/filter), EastWest EP-1 Delay, ADT, Amp Simulator and a Convolution Reverb. The entire effects rack is accessible to all instruments within the Play 6 mixer page and is saved with any preset you call up and modify. So much here and I want to learn all the ins and outs of this system when I do post work mixing or just for adding vibe to songs that I get to mix. 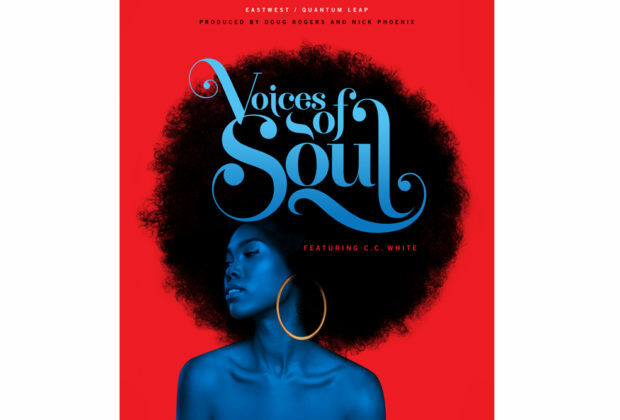 VOICES OF SOUL was produced by Doug Rogers and Nick Phoenix and is available for purchase or as a free addition for all subscribers of EastWest's ComposerCloud.